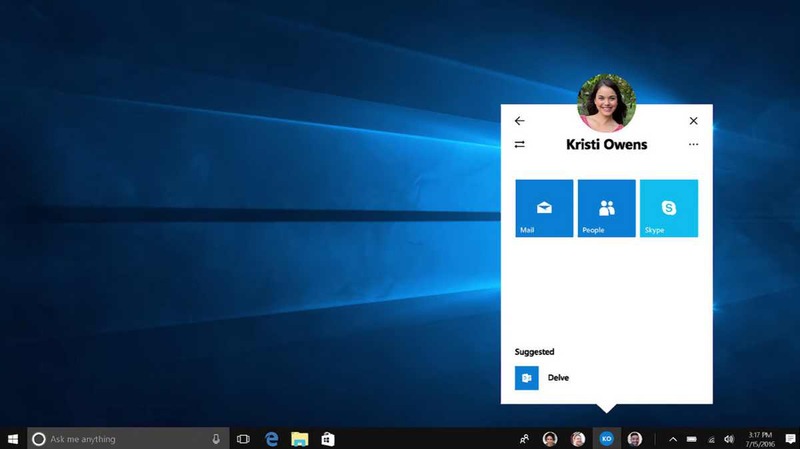 Microsoft today delivered its Windows 10 Insider preview build 15014 for members. However, the company also confirmed today that it’s removing one big feature from Windows 10 Creators Update. Previously announced ‘MyPeople’ feature for Creators Update is now moved to Windows 10 Redstone 3 update, which is expected to come later this year. MyPeople feature in the system tray will make communication and sharing with your closest friends easier. This new feature will hook up to Skype, GroupMe, and Office, with the ability to quickly message people. The feature will also bring support for emoji and direct message popup on the desktop.